Ansel Adams Wilderness is more than 231,000 acres of premiere recreation area, within the Sierra and Inyo National Forests, offering hiking, climbing, camping and much more to the lucky visitor. The Ansel Adams Wilderness Area is located in the Sierra Nevada Mountains in California, with Yosemite National Park to the north and northwest and the John Muir Wilderness to the south. Here you can explore beautiful alpine meadows and lakes, the rugged granite peaks, the steep gorges and the headwaters of North and Middle Forks of the San Joaquin River. Ansel Adams Wilderness CA is easy to access from Yosemite National Park. From Yosemite Valley, take California Highway 140 to Big Oak Flat Road, turning right. Take another right on Tioga Road. You will leave the park via the eastern entrance and take US Highway 395 south to Mammoth Lakes and Devils Postpile, where you can hike into the backcountry. Some trailheads are located along State Route 203, west of Mammoth Mountain resort in the town of Mammoth Lakes. The best times to visit are from June through October. To see wildflowers blooming, come in July. The Ansel Adams Wilderness contains over 340 miles of hiking trails. Portions of the John Muir Trail and the Pacific Crest Trail run through the backcountry. There are other off-trail routes you can find in the wilderness, including one along the base of the Ritter Range. 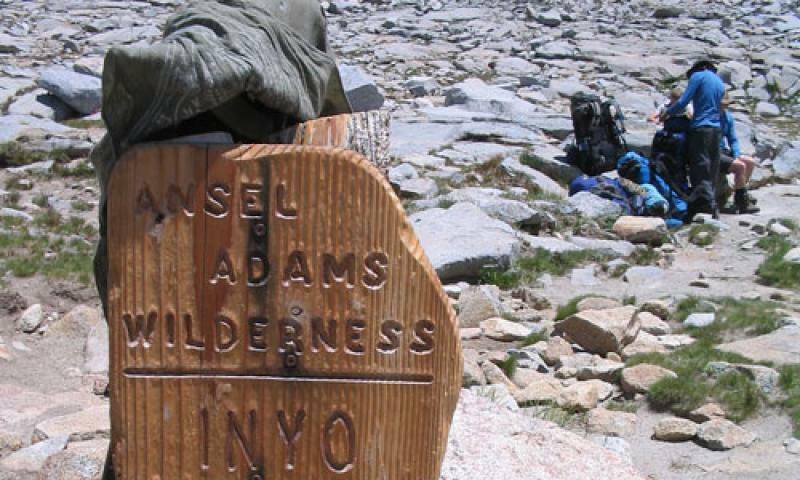 Numerous backpacking adventures await you in the Ansel Adams Wilderness. One that only takes moderate effort is the Agnew Meadows to Ediza Lake Trail. Moving among the Ritter Range offers some spectacular scenery. This out-and-back trail is 14 miles and takes around three days. You can also find the Agnew Meadows to Devils Postpile Trail about seven miles west of Mammoth Lakes, a 21.2-mile trail that is moderately strenuous. Find all manner of technical rock climbing in the Minarets, a popular place with climbers. Some of the favorite locations to climb are the Clyde Minaret at 12,261 feet (considered a classic), the Eichorn Minaret at 12,255 feet, and the Michael Minaret at 12,240 feet. To really get up close and personal with the wilderness, there’s nothing like camping out in the backcountry. Some of the most popular spots are Shadow Lake and Lake Ediza. When visiting the Ansel Adams Wilderness, you are not far from two major ski areas, Mammoth Mountain and June Mountain Ski Area. Take time out to get in some downhill or cross-country skiing adventures. The Ansel Adams Wilderness in California was established in 1964 as the Minarets Wilderness, but was renamed 20 years later in honor of Ansel Adams, the famous environmentalist and nature photographer, after his death.